Some days, all you need is a subtle wash of color on the lids. From natural, barely-there looks to the smokiest of eyes, applying eye shadow is something that most women take part in every day. A light shade on the lid to open up the eyes, a darker hue on the crease to add depth and dimension, and a highlighter on the brow bone to illuminate. While it’s a great way to enhance eye color, shape and definition, some of us are still trying to figure out what colors look good, and how to blend the right hues to make our peepers pop. 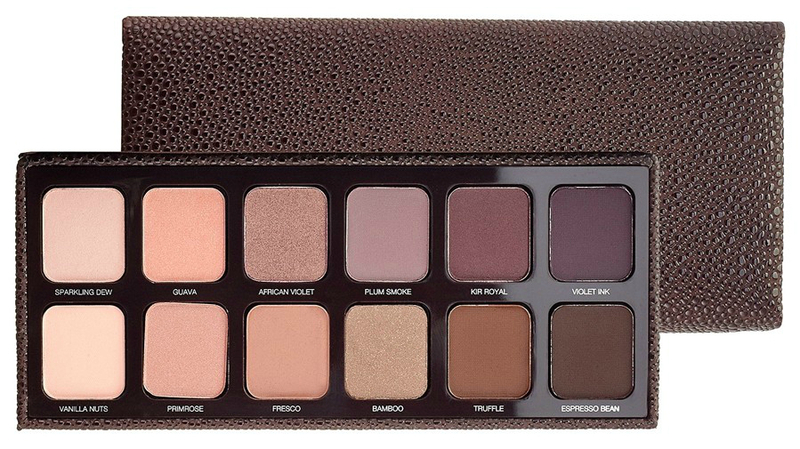 You might be staring at your makeup drawer at home wondering how you can merge those violet eye shadow quads to create something spectacular. The secret? 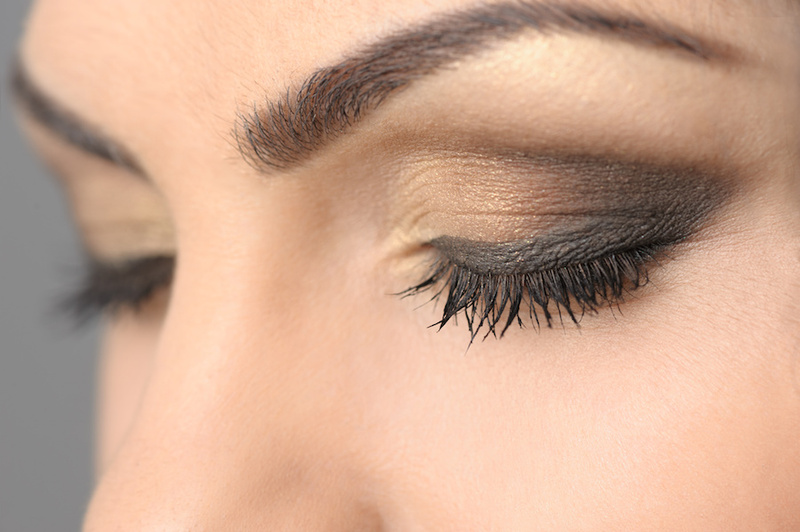 Here are my top tips on how to blend eye shadow that will make you an expert in no time. 1. Start with shades in the same family: The more similar two shades are, the easier they will be to blend. It doesn’t matter how much you like crazy color combos such as green and pink, or black and white. These colors are very hard to blend together, so wait until you have more practice or you’ll only make a muddy mess. Instead take two shades in the same color family (i.e, two greens) and blend them into a seamless gradient. If you’ve never done it before, start with browns. It’s impossible to make a mess with browns. Even if the eyeshadows aren’t perfectly blended, no one will notice. 2. Use an intermediary color to create a gradient: Once you’ve learned how to blend similar colors, you may want to try pairing different shades together. One of the easiest ways to do this is to use an intermediary color. For instance, if you want to blend fuchsia and blue, you can apply a purple shade between them. If you’d like to do a warmer look, apply orange between yellow and red. This will help you create a seamless gradient with ease. If you’re not sure of what shade will fit well between two contrasting colors, simply check out the color wheel for help. 3. Use the right brushes: There are countless eyeshadow brushes available on the current makeup market. However, for eyeshadow blending purposes, you really only need two brushes: a smaller, more sturdy blending brush and a larger brush with loose fibers. Use the larger sweep brush to blend eyeshadow into your crease and to swirl your colors together as you move upward from your crease to your brow bone. Use the smaller blending brush to blend the eyeshadow in the inner corner of your eyelid toward the middle of your eyelid and to blend eyeshadow that is difficult to budge. 4. Blend your crease correctly: Blending the crease of your eye is one of the most difficult parts of blending your eye makeup. Your crease should be the place where you apply the darkest eye makeup, so it can be hard to blend it correctly to ensure that it connects smoothly with the rest of your eyeshadow and does not look choppy or too dramatic. 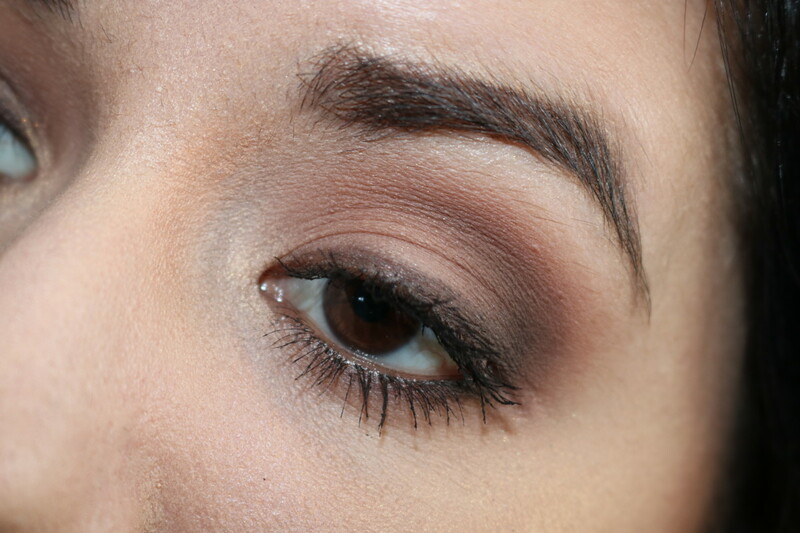 When you first apply eyeshadow to your crease, draw a sharp line with the eyeshadow that traces your crease from the outer edge of your eye until the inner corner of your eye. 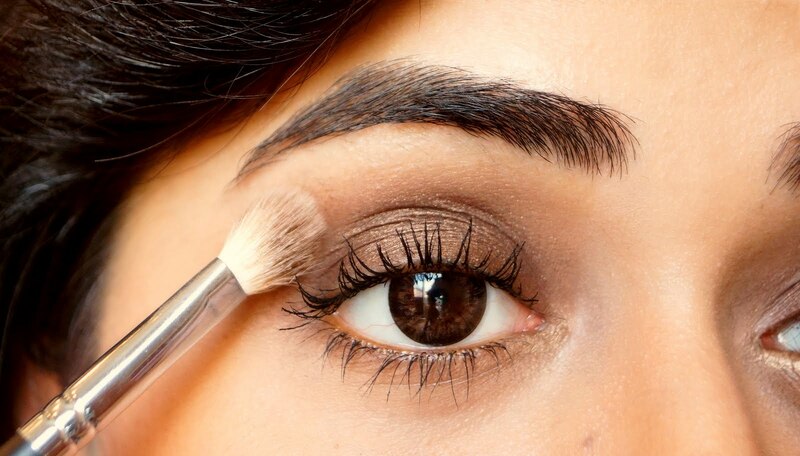 To blend the choppy, excessively severe line you’ve just applied, swirl a larger blending brush in little circles starting from the outer edge of your eye and blending inwards until the colors look smooth and connected. 5. 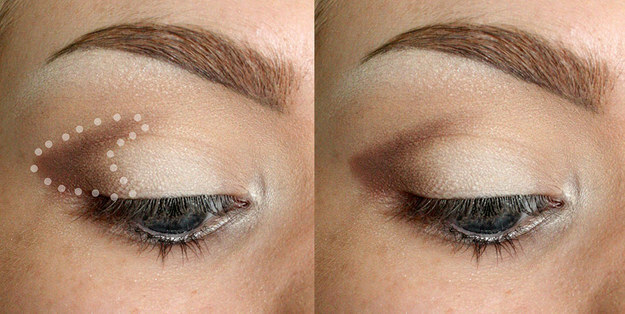 Take your time: When blending eyeshadows, take as much time as you need. Start by applying (and blending, of course!) a little bit of color, and build it up as needed. Every now and then, step back from the mirror to see how everything looks from a distance. But most importantly, have fun! Don’t be afraid to be creative, test out new color combos, or experiment. And practice, practice, practice!